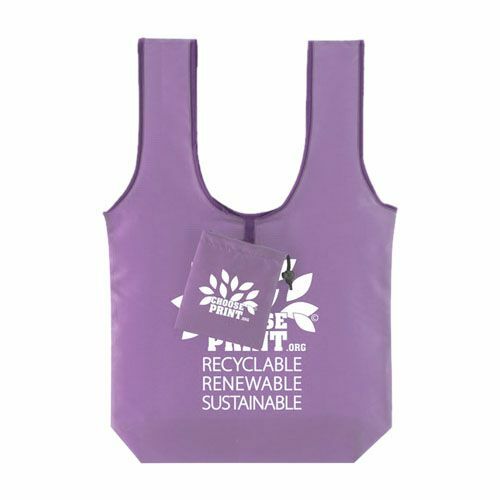 The Fold-N-Go T-Shirt Handle Bag is made from eco-friendly polyester and features wide handles with a convenient additional drawstring pocket. 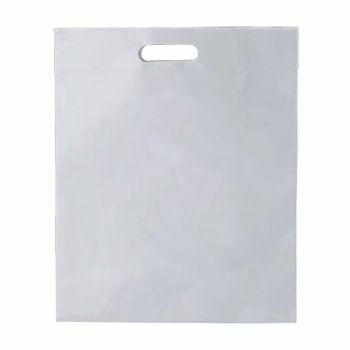 The pocket can be removed and placed inside the bag. 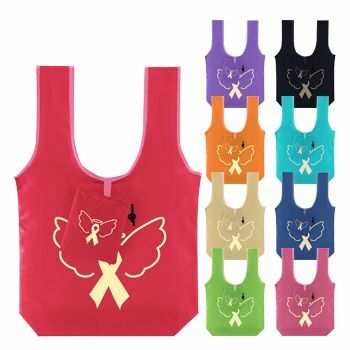 A fashionable gift item for charity events or eco-friendly firms, the Fold-N-Go T-Shirt Bag features handles that cleverly resemble the style of a tank top. The bag is made from 190T polyester ripstop and includes a handy drawstring pouch that may be left to hang outside the bag as a pocket or placed inside for extra security. 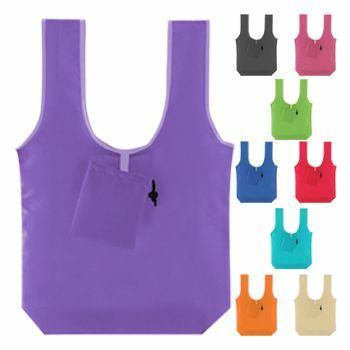 Your company logo can be printed directly onto the "T-shirt" as a design as well as on the detachable drawstring pocket. 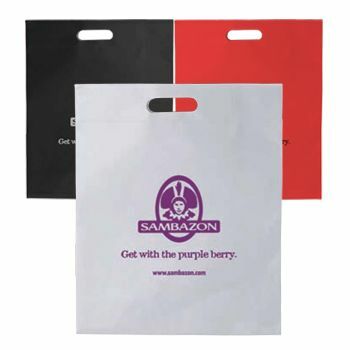 On time production is guaranteed; rush production is available. Custom printing is also available on every order, so place your order today.